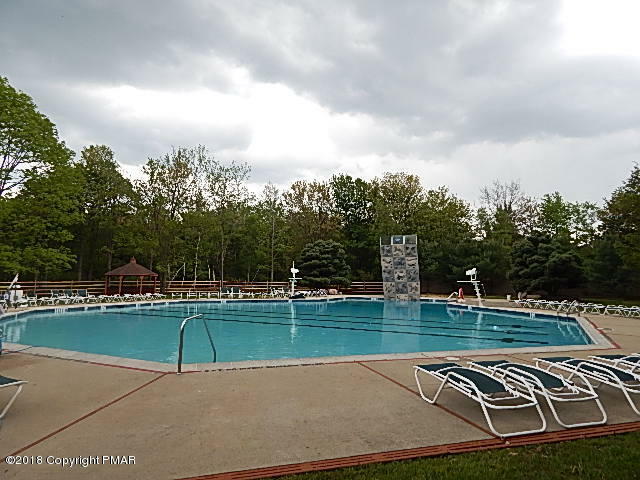 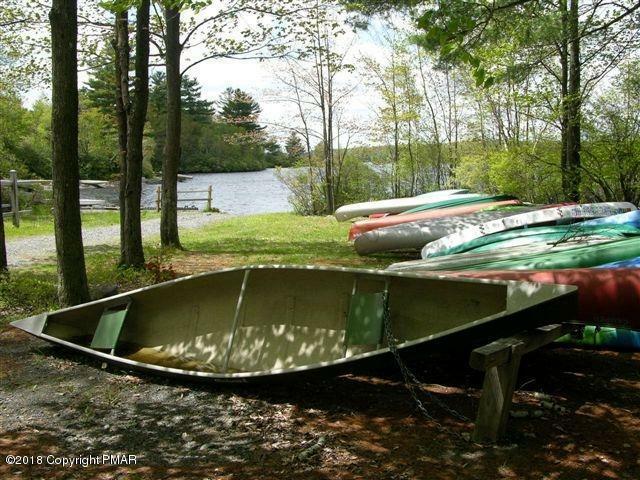 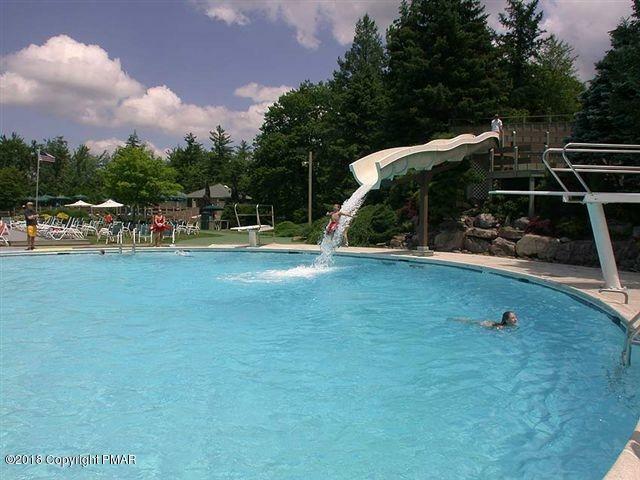 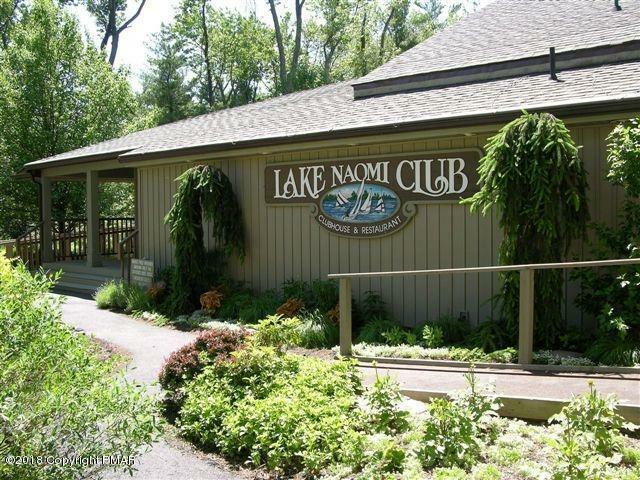 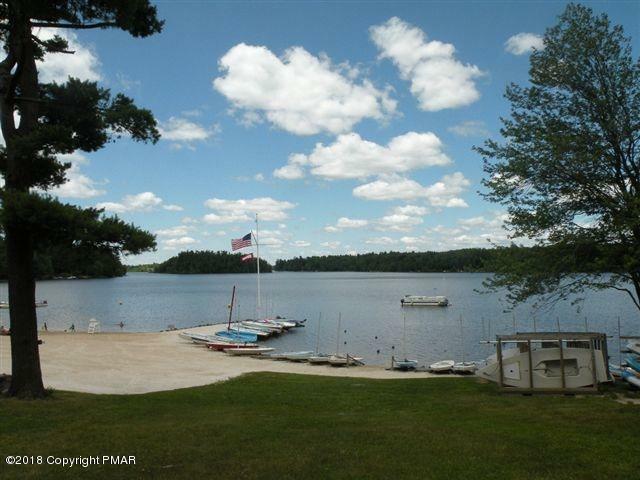 BETWEEN the PONDS is where you'll find 432 Miller Drive at beautiful and amenity-filled LAKE NAOMI. 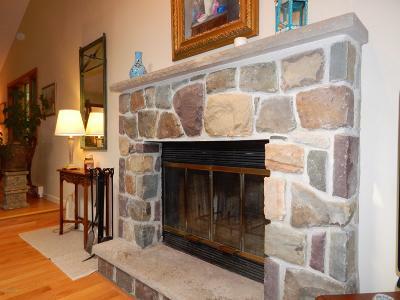 Updated and upgraded, this home offers HARDWOOD FLOORS, cathedral ceilings in living room, TWO stone fireplaces and TWO-car GARAGE. 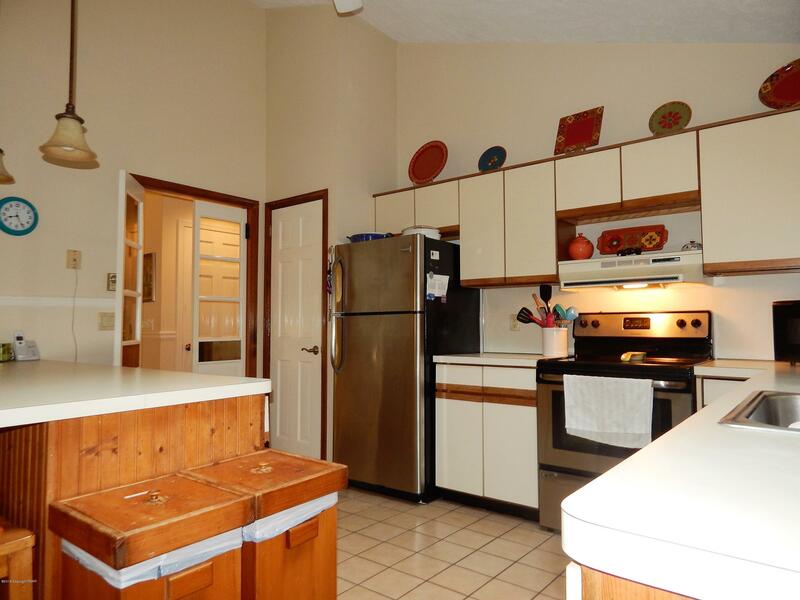 Open layout with spacious kitchen offering lots of cabinet storage and counter space with room for multiple cooks. 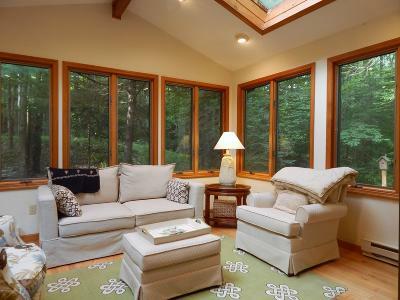 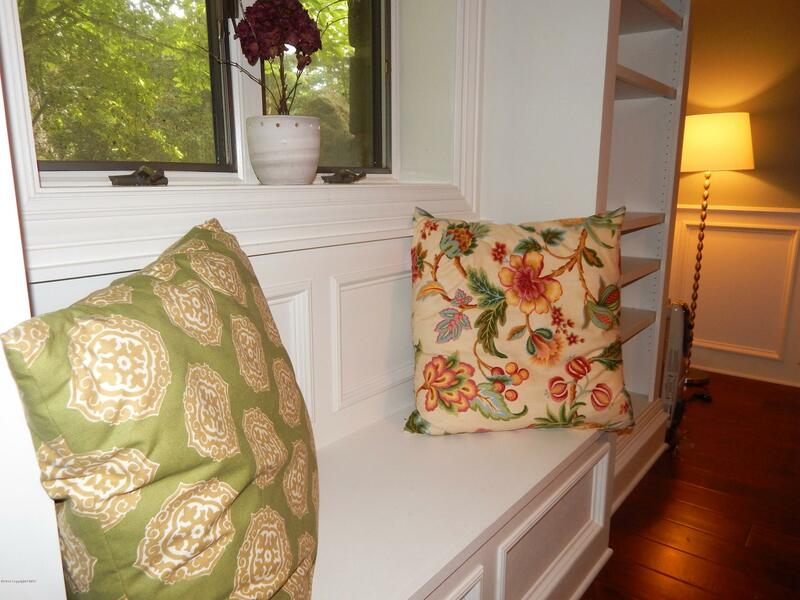 Sliding Doors from dining area into window-filled SUN ROOM-a cozy retreat! 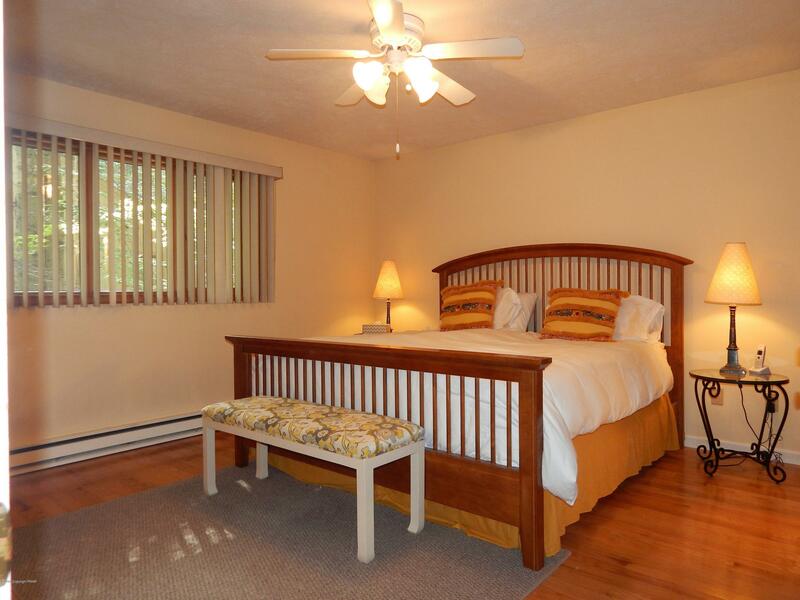 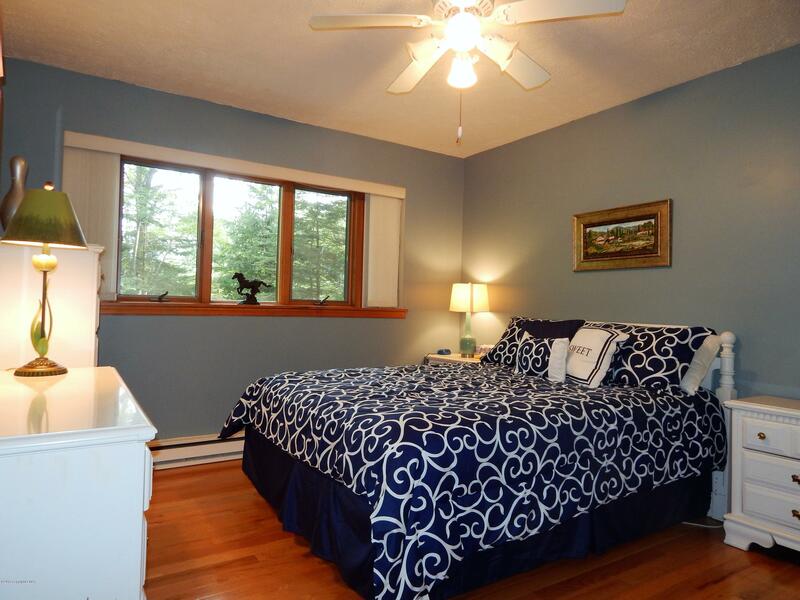 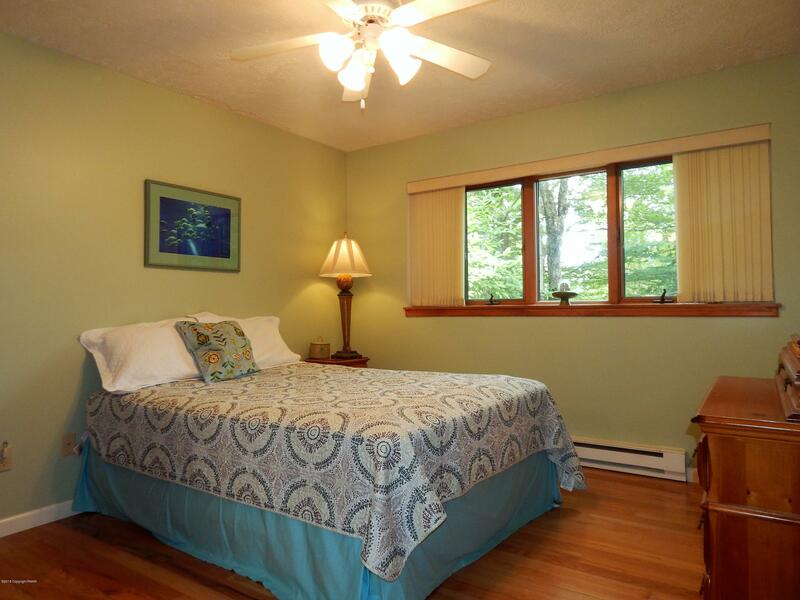 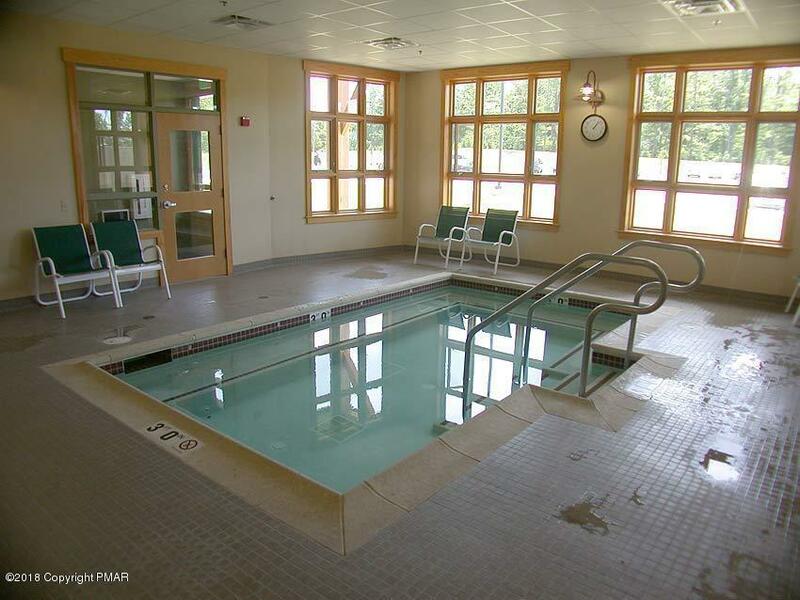 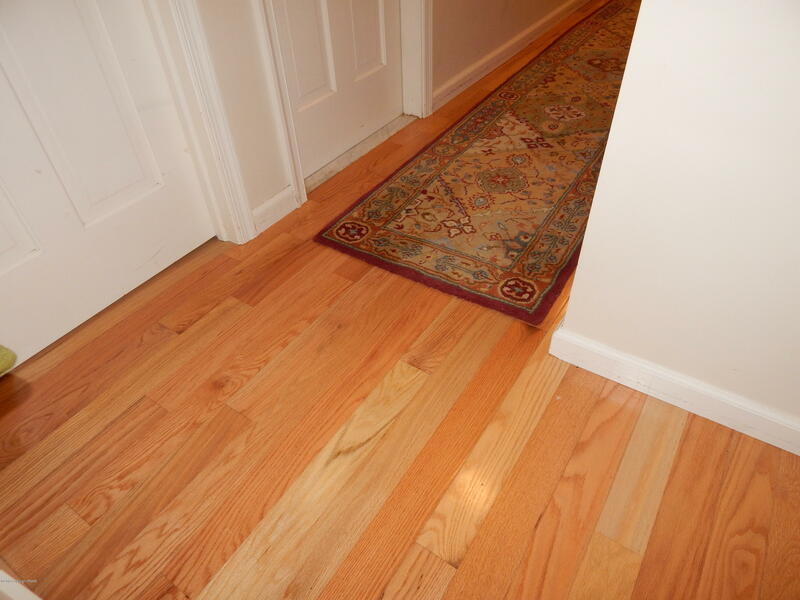 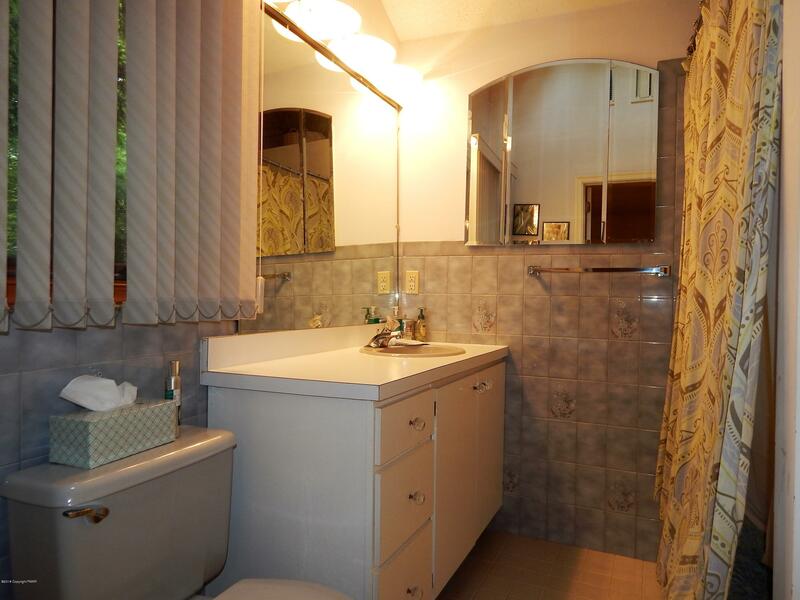 MASTER bedroom on main floor with private bath as well as 2 other bedrooms and MAIN bath on main floor. 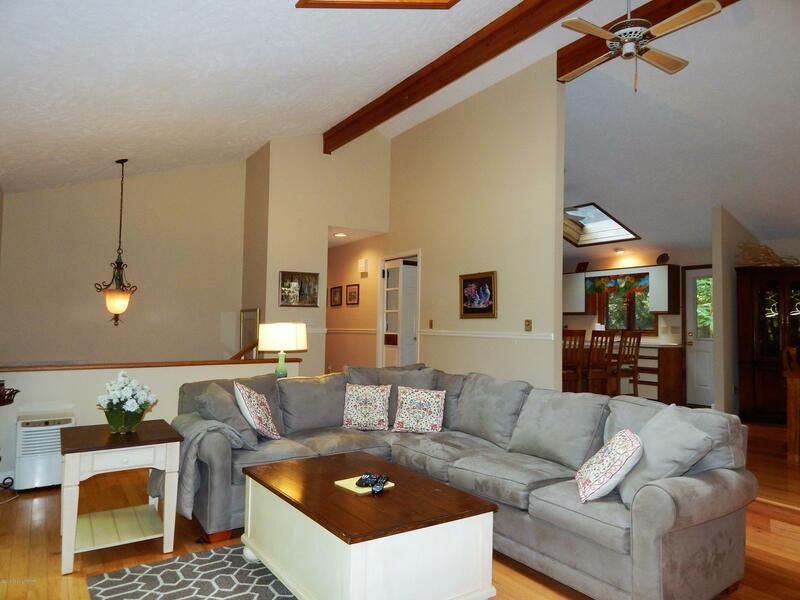 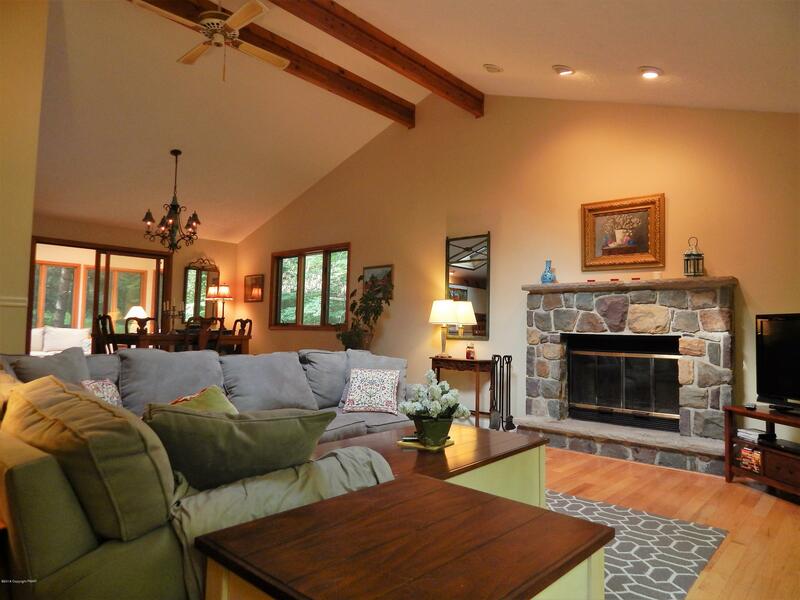 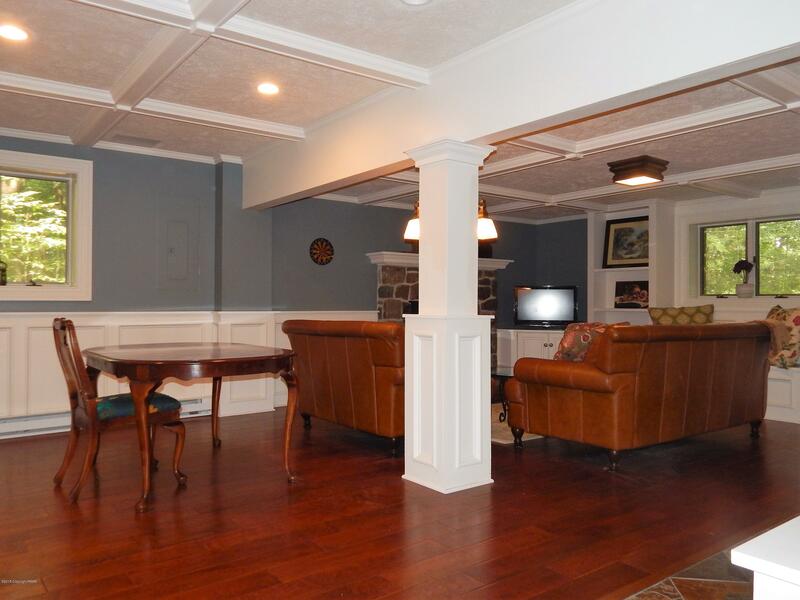 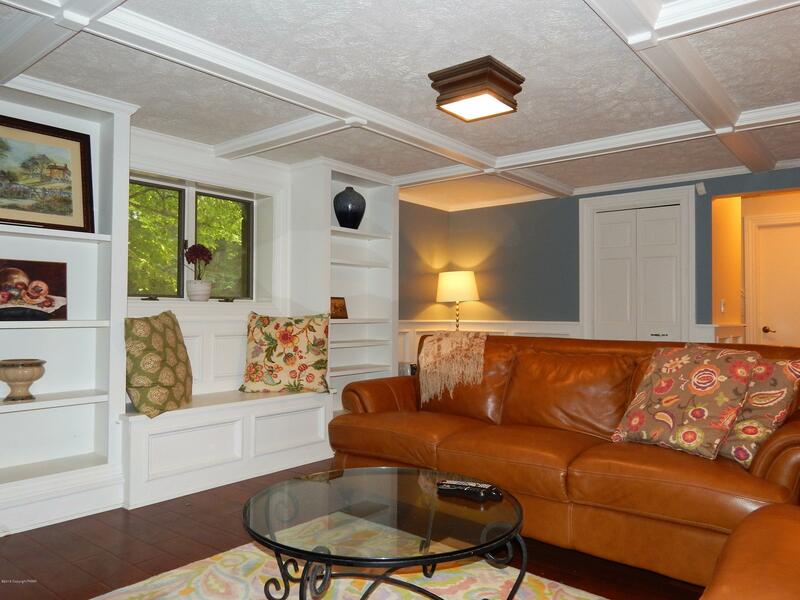 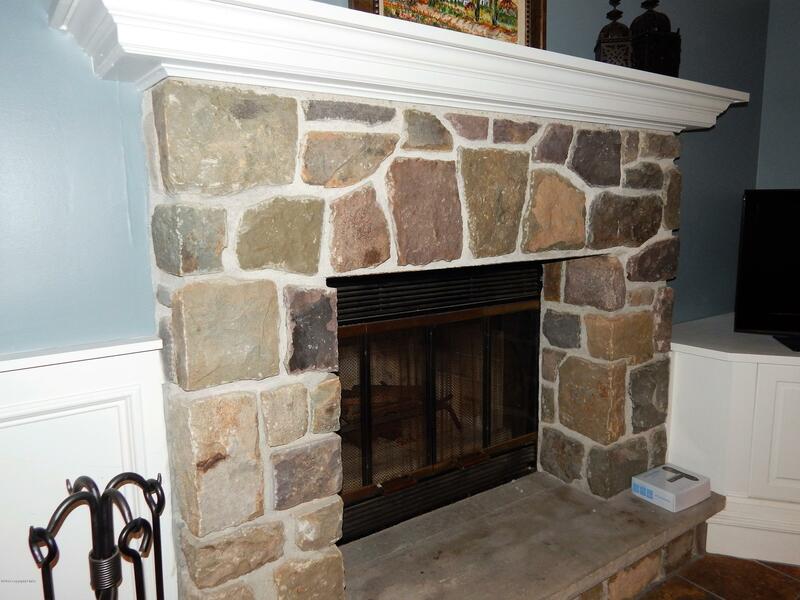 Lower level features a FAMILY ROOM with lovely finishes (there's that 2nd fireplace! 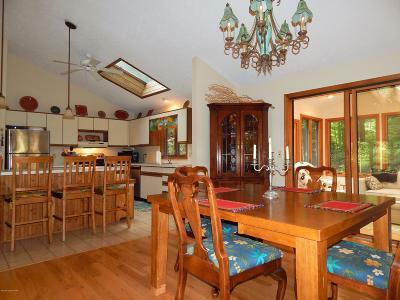 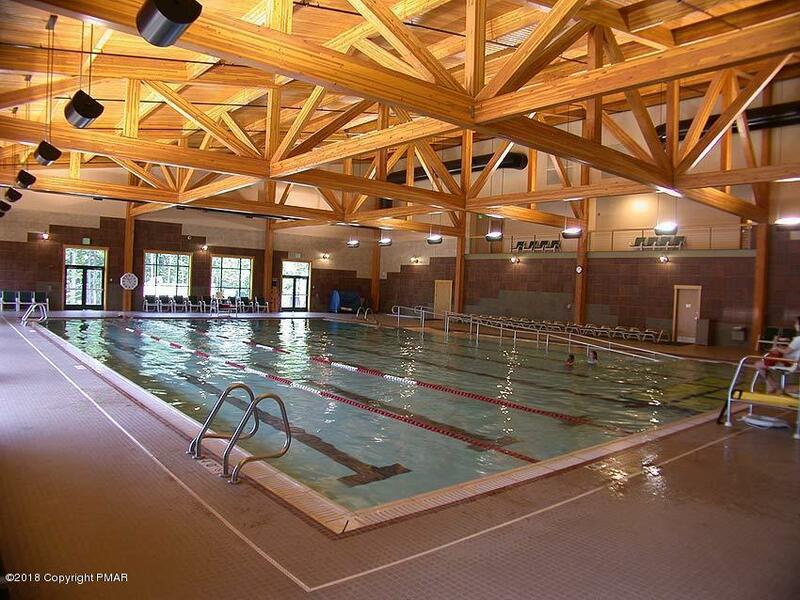 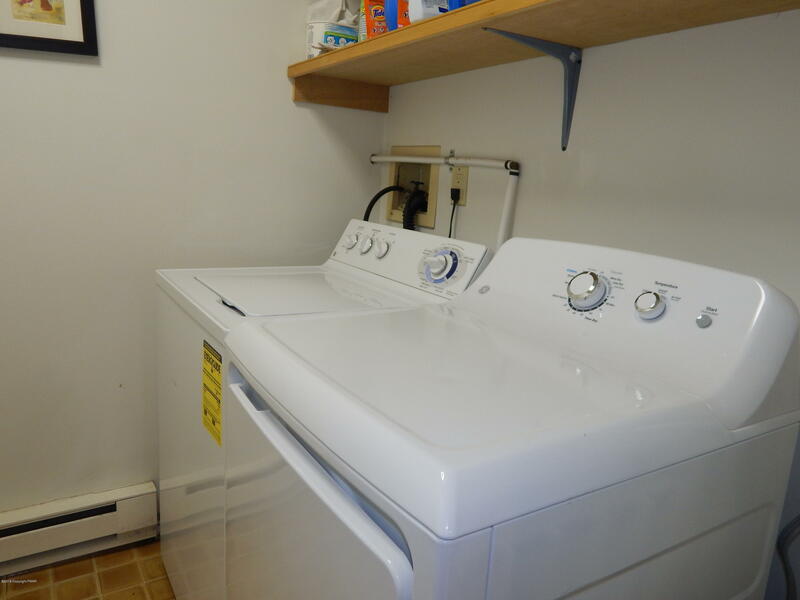 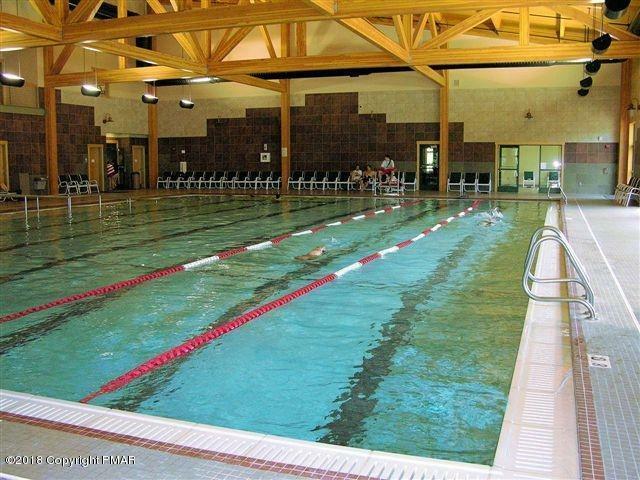 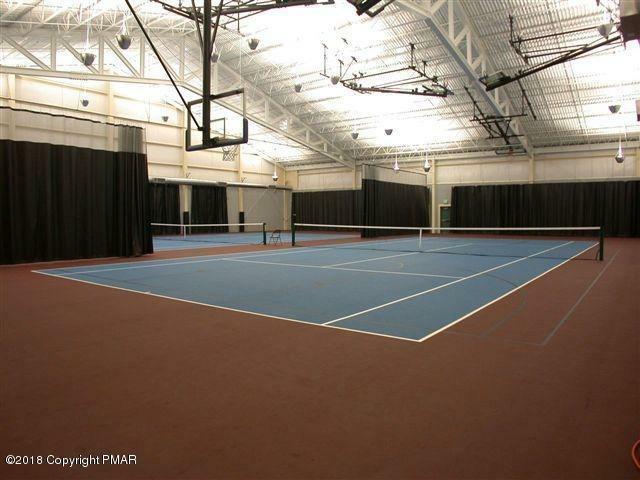 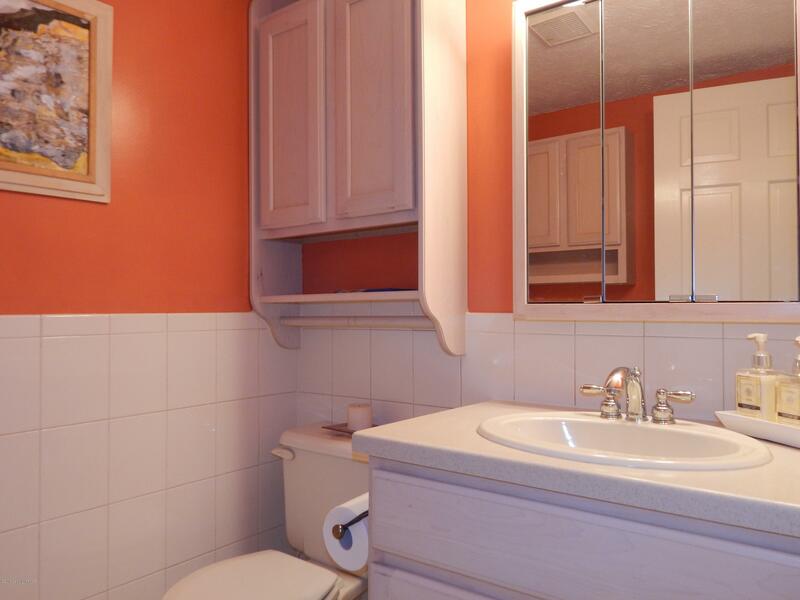 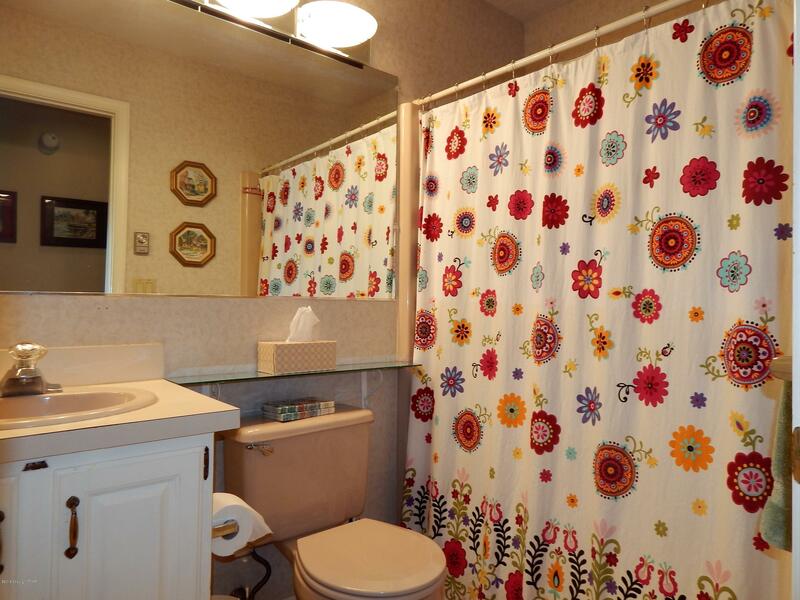 )along with laundry and 2-car garage access. 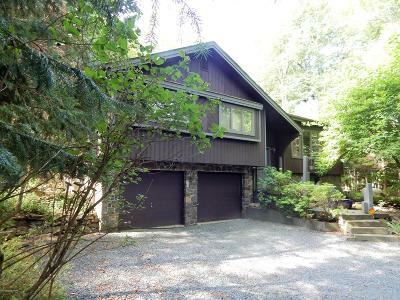 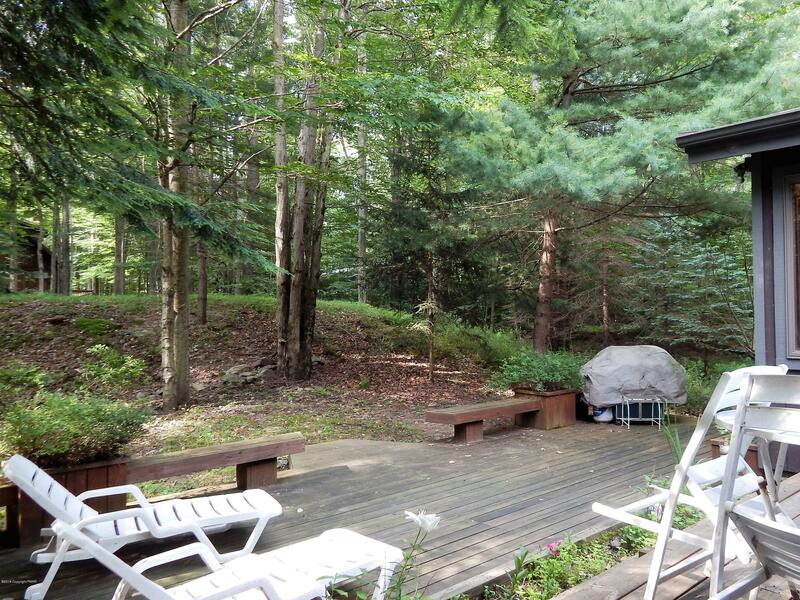 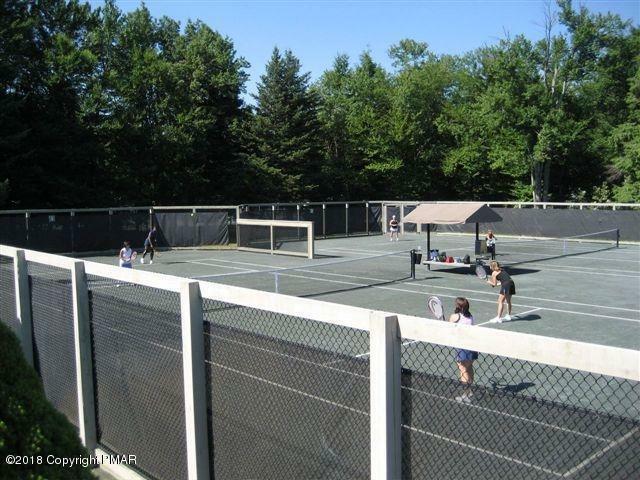 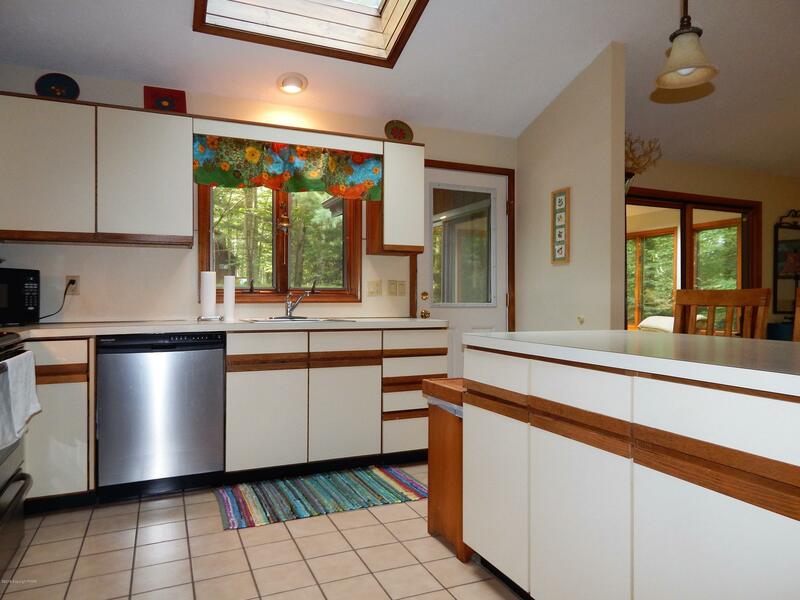 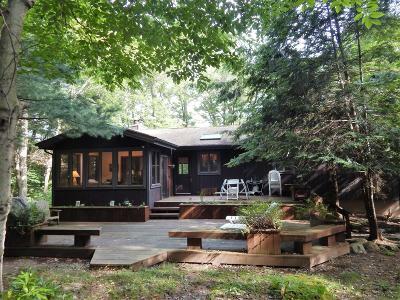 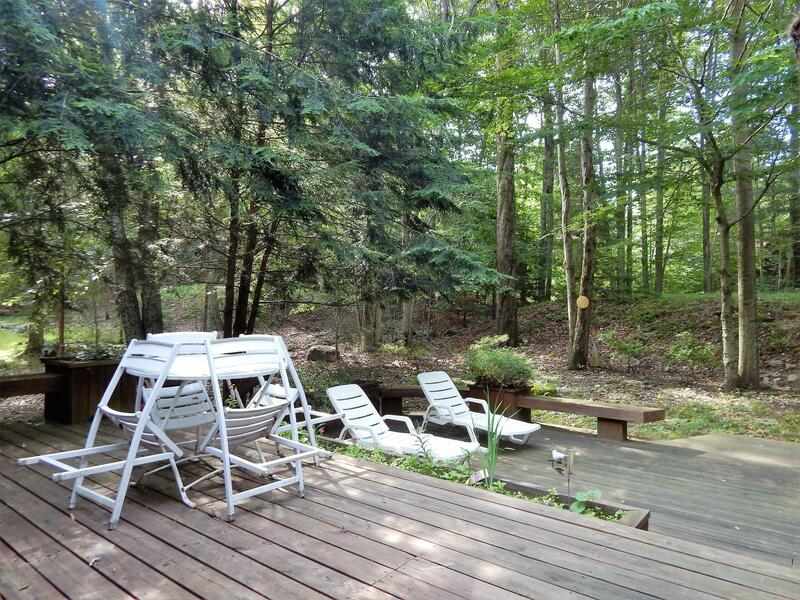 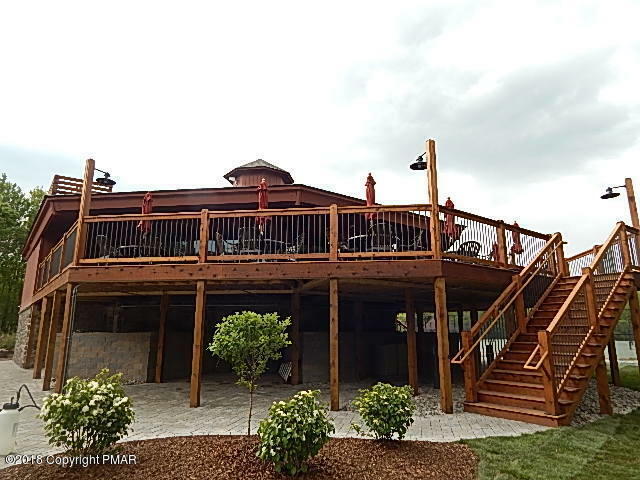 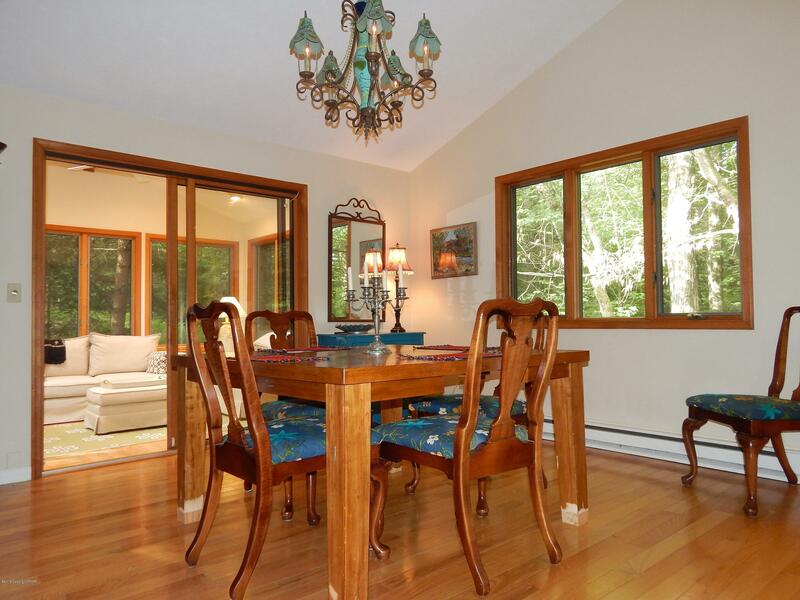 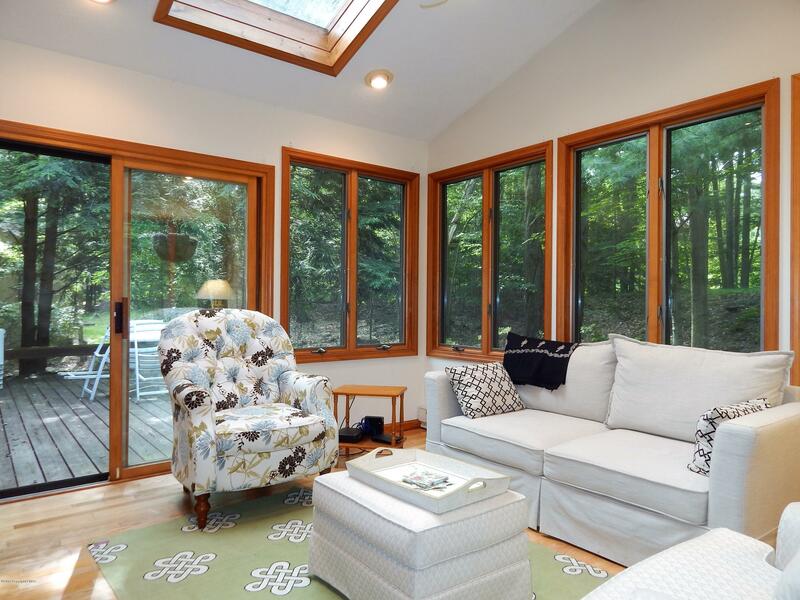 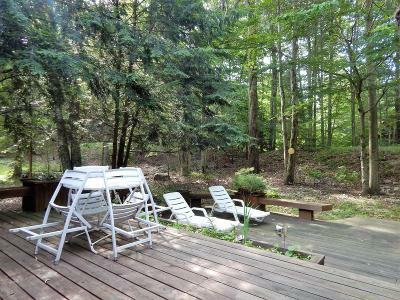 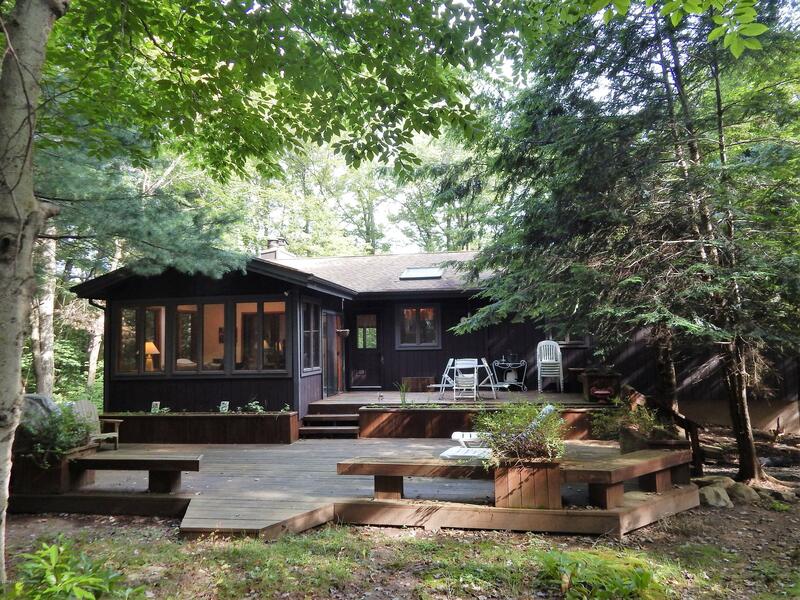 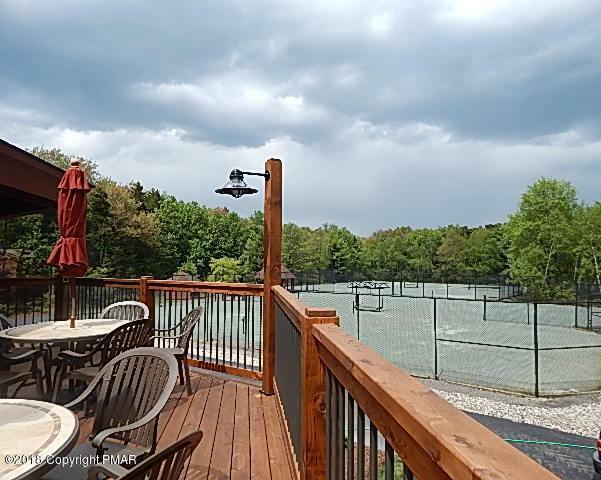 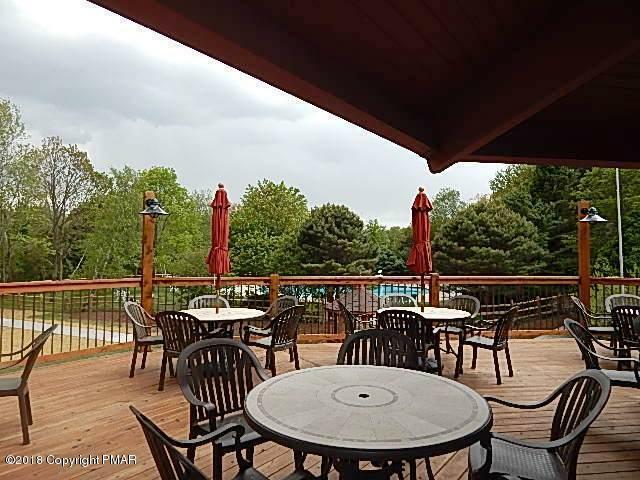 Multi-level rear deck for outside fun and entertainment all on a private wooded lot. 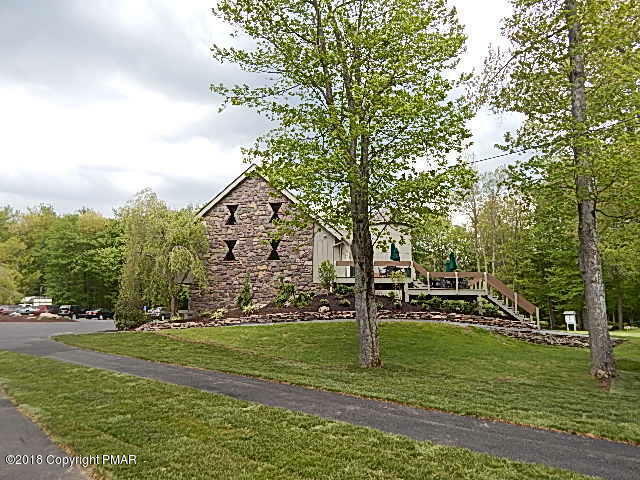 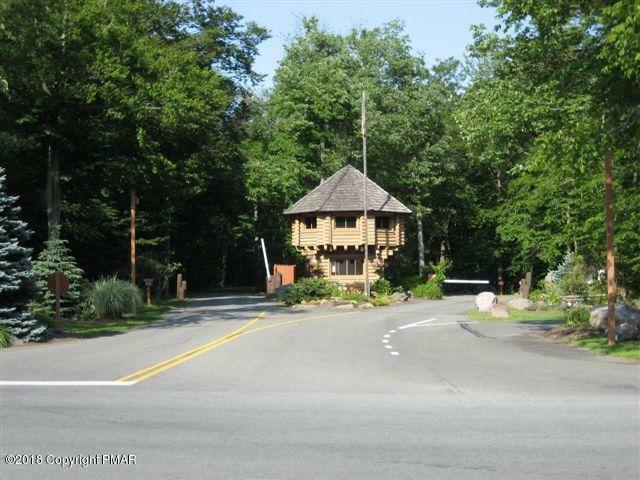 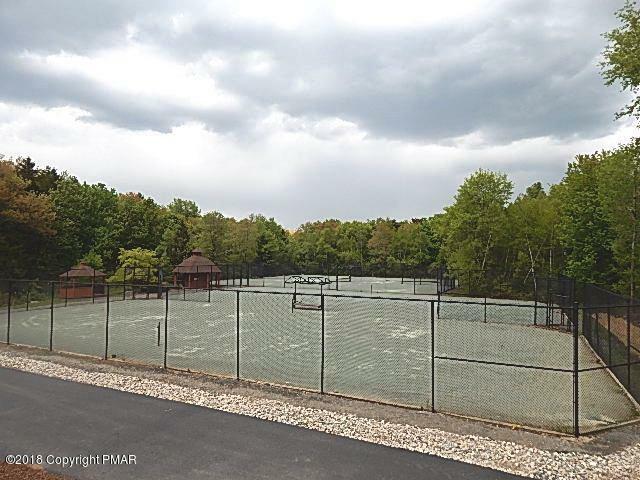 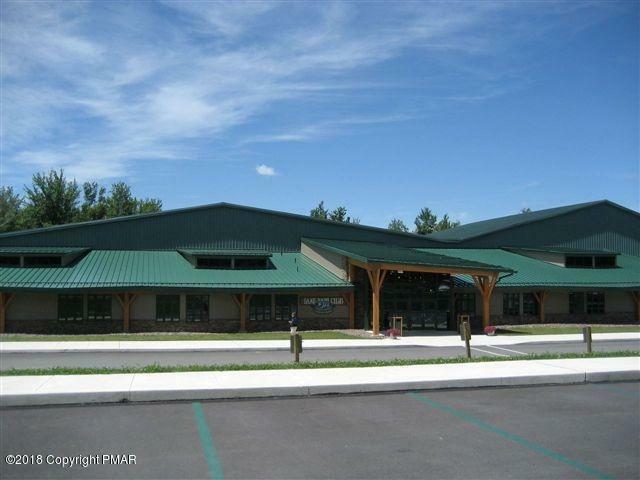 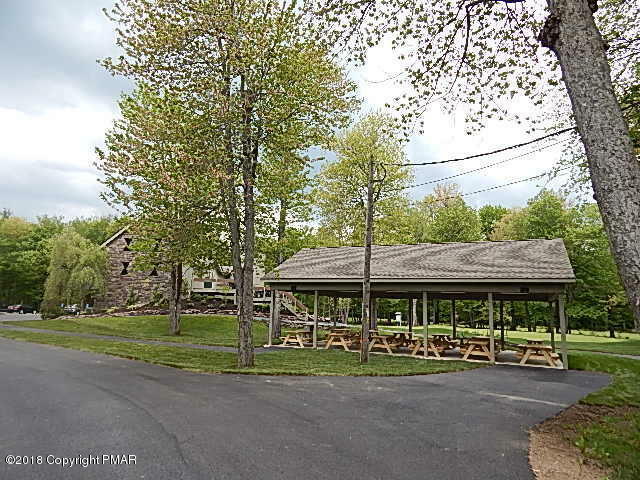 So close to the Judge's Pond and Trout Pond - take a look!